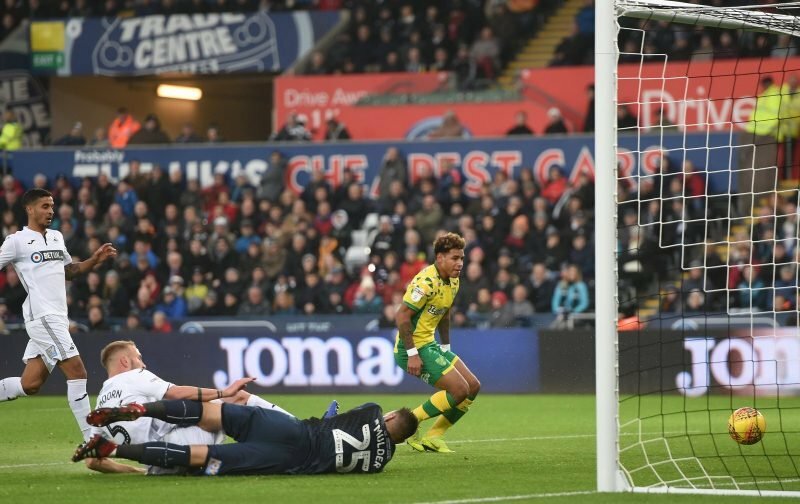 The match stats might have been rather even or better in Swansea City’s favour but the reality is that Norwich City were streets ahead of us and were well worthy of their 3 points and comfortably victory that keeps them top by 3 points. We might have had 2 more shots and just one less shot on target compared to the visitors – as well more possession (56%) but it was another case of the Swans not doing enough. We weren’t clinical and our chances were mostly half-chances while Norwich benefitted from van der Hoorn’s own goal opener. Mulder’s pass to Celina saw the midfielder dispossessed and the ball easily put past the goalkeeper for 2-0. The third was a well-worked goal but again we gifted them time and space to create the opening while we made hard work of clinging on to any slim hope there was of taking something from the game. We’ve had the second-best defence in this division in terms of goals conceded but today we looked rather amateur at the back. van der Hoorn was caught in a tricky position in the middle of the penalty area as a low cross came in from the right. He slid in to block the cross from reaching a Norwich player but in doing so he sent the ball past Erwin Mulder. Bersant Celina was Swansea’s top passer with 92.5% accuracy but only Kyle Naughton (89) came close to Matt Grimes’ touches count. 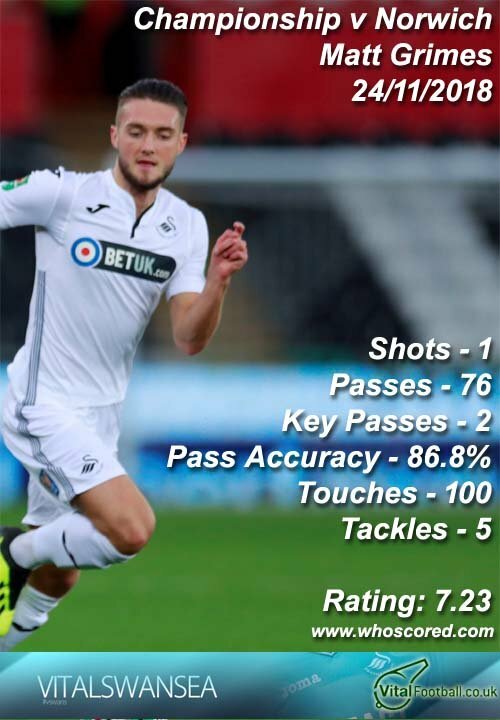 Matt Grimes also had 2 key passes, 1 more than any other Swans player while Dan James came top of the shots on targets tally in the game.